Help children maintain skills while away from school with this award-winning series and original summer learning program! Daily activities in reading, writing, mathematics, and language arts with bonus activities in science and geography. Also included are full-color flash cards, incentive contract calendars, a certificate of completion, and the Summer Bridge Kids who guide children though their daily exercises. 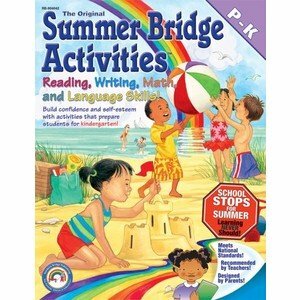 If you have any questions about this product by Summer Bridge Activities, contact us by completing and submitting the form below. If you are looking for a specif part number, please include it with your message.